Tasting Table calls the Instant Pot “the hottest kitchen tool since George Foreman’s pint-size grill” and everyone from Ruth Reichl to top food bloggers rave about its efficiency, convenience, and affordability. 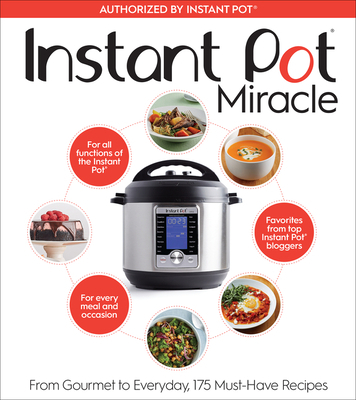 Now, with this licensed cookbook—one of the most comprehensive published to date—you can discover exactly how much this miracle appliance can do. This full-color cookbook features recipes for all the functions of the Instant Pot, from everyday staples to surprising new dishes. You’ll find more than 175 recipes for everything from breakfast to dessert, including delicious soups and stews, vegetable mains and sides, jams and yogurts—even an entire cheesecake. This must-have cookbook is the perfect companion to the best-selling kitchen appliance to come along in decades.